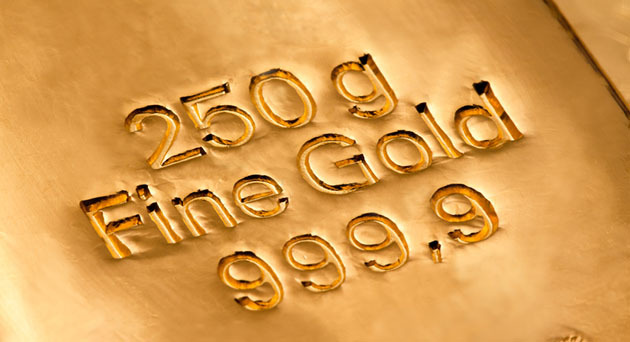 Fund manager Adrian Day reviews recent developments at several gold and resource companies. Osisko Gold Royalties Ltd. (OR:TSX; OR:NYSE, US$9.87) is paying C$98 million for a 5% royalty on Victoria Gold Corp.'s (VIT:TSX.V) shovel-ready Eagle Gold Project in the Yukon, Canada; and buying another $50 million of stock in the company, taking its interest to 16%. Other nearby deposits are included in the royalty. The low-cost mine is expected to produce around 200,000 ounces a year over its projected 10-year mine life, commencing production near the end of next year, though there may be challenges in operating a heap-leach mine in extreme cold conditions. Separately, Osisko said it had repurchased over 500,000 shares through its ongoing buy-back program. We agree with management: Osisko is a strong buy at the current level. Franco-Nevada Corp. (FNV:TSX; FNV:NYSE, US$68.17) saw lower-than-expected production, with Goldstrike, Candaleria and Stillwater underperforming. The company also estimated 2018 production below what many analysts had projected; it is not counting any production from its next major revenue generator, Cobre Panama, this year. Sales will improve as much as 20%, however, into 2019, as that mine comes onstream. Over 90% of its revenue comes from precious metals, and the company has indicated its next major acquisitions could be in the oil and gas sector, or perhaps in base metals. At the end of the year, Franco had over $500 million in cash with no debt, and $1.1 billion available on its line of credit. Franco's recent underperformance has less to do with its performance—though the stock arguably overreacted to the previous quarter which saw outperformance in production and revenue—than with the broad market sell-off in late January, early February. Franco is widely held in generalist funds, so when the broad market drops, it can be hit by selling that does not affect most other gold stocks. With a volatile market and with lower guidance for the year, the next few months could see Franco stocks continue to lag, presenting us with a great buying opportunity. Miranda Gold Corp. (MAD:TSX.V, 0.05) announced it had closed the first tranche of its previously announced financing, raising $1.5 million. This provides the company with sufficient cash for the next year. Its royalty on Gold Torrent in Alaska has received interest and, if sold, would put the company in a good cash position to carry out its plans in Colombia, including some property acquisitions and joint ventures. The latter includes, potentially, the prospective Mallama project it acquired in October. At present, Miranda has one option agreement, on Antares, with IAMGOLD. Miranda could be turning the corner as it options out some recent property purchases and has the financing to execute. There is no need to chase the stock, but it's a buy here. Nevsun Resources Ltd. (NSU:TSX; NSU:NYSE.MKT, US$2.35) has received its long-awaited permit for an exploration decline at the Timok project in Serbia. It will take about two years to reach the Timok Upper Zone, and is an essential first stage in development of the deposit. Separately, the company said the metallurgical challenges at Bisha in Eritrea are "largely behind us" as volumes of material moved increased. Both zinc and copper recoveries have increased this year, the company said, as fourth quarter results missed targets again (with costs higher and copper recoveries in particular lower). We shall await next quarter's results. The eagerly awaited pre-feasibility remains on track for release by the end of this month; this will include a maiden inferred resource on the lower zone as well. The Timok deposit is undervalued in the market, with Bisha difficulties now a distraction. The receipt of the permit has seen a strong move in the stock (from $2.02 a month ago), and we would hold off adding to positions. Almadex Minerals Ltd. (AMZ:TSX.V, 1.55) is raising C$5.6 million in a private placement, prior to the split of the company into the large El Cobre copper-gold project (in which company Australia major Newcrest will hold nearly 20%), and an exploration spin-off. The funds from the new equity raise will go into the spin-off, which (to confuse matters) will probably retain the name Almadex. This spin-off will be well financed. In a revision of earlier estimates, it will hold approximately $7.6 million in cash ($1 million existing cash, plus $1 million reimbursement for Newcrest-related expenses plus $5.6 million from the private placement). It will also hold 1,600 ounces of gold bullion (a little over $2 million) plus 4 million shares in the El Cobre company, along with a small portfolio of other, smaller companies. Almadex is a buy on weakness.